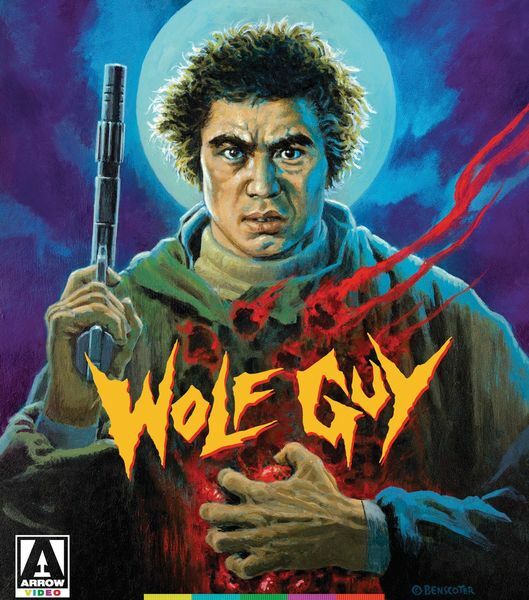 Description: Shinichi “Sonny” Chiba is WOLFGUY, the only survivor of a clan of werewolves who relies on his feral, full-moon-activated superpowers to solve mysterious crimes. One night, a bizarre and bloody death in the Tokyo streets plunges him into a far-reaching conspiracy populated by crooked politicians, naked white women, bit-players like Hideo Murota, a phantom tiger, and — best of all — a shadowy organization. Sonny Chiba as a “Werewolf Cop”?! Sign me up!! Thanks, Rarelust.